Why do I need a Service contract for my copier? Did you know you could be paying above and beyond for servicing your copier device? Signing up to a service contract for your copier can ultimately save you money in the long run. But why pay money if your copier works I hear you ask. Well did you know that not having your copier on contract and calling out an engineer to resolve a problem could end up costing you $500 + depending how bad the problem is. Service contracts include all calls out fees and parts replacements for your copier. With strict repair times you can be sure that your copier will be back and running in no time. The service contract will also include consumables for your copier device which can be ordered quickly and efficiently through the service provider. 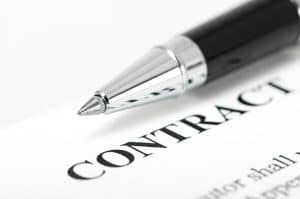 Remember a service contract is different from a copier lease. You can add a service contract to your existing copier so there is no need to buy a new copier unless you wish to do so. Wouldn’t you rather have peace of mind and one less thing to worry about in your business?